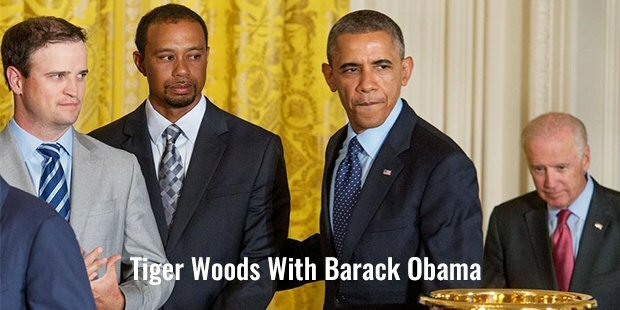 Tiger Woods was born on December 30, 1975 to Earl and Kultida Woods. He is considered to be one of the most talented sportsmen ever. He has already been regarded as one of the most successful golfers ever. He is also the highest-paid athlete in the world. For all his achievements, he has been working throughout the years to nurture his talents and try to play at his full potential. Tiger as many like to call him started golf when he was 2 years old. He didn’t start playing but started imitating his father and replicating the way he would play his strokes.Tiger was a child prodigy. At the age of 6, he won the Under-10 competition at the Navy Golf Course, Cypress. At the age of 8, he broke the 80 strokes barrier. From 1988 to 1991 he won the Junior World Golf Championships. He beat his father who was a golf instructor at the age of 11. From then on Tiger’s father could never beat him. 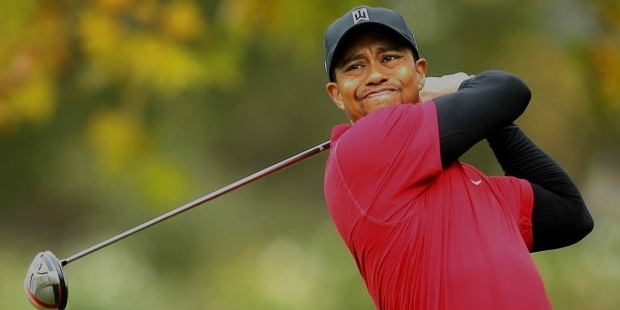 At the age of 12 Tiger had broken the 70 stroke barrier for the first time. The 70 stroke mark was sometimes out of reach for even experienced amateur golfers. 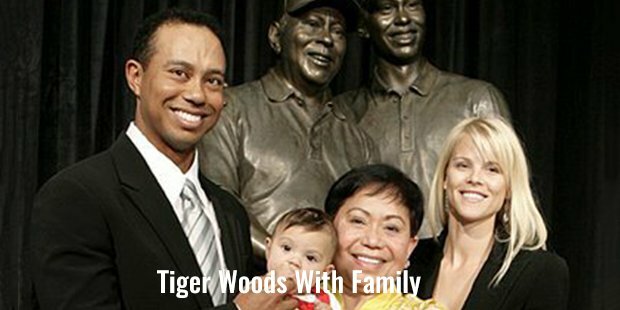 Tiger’s father had set his son the target of breaking Jack Nicklaus’s records. In 1991, at the age of 15, Tiger became the youngest ever U.S. Junior Amateur champion. He again won the title in 1992 and 1993. In 1994, he won the U.S. Amateur Championship. He graduated from Western High School in 1994 aged 18. In 1995 he joined Stanford University on a Golf Scholarship. He participated in 1995 Masters Tournament and was tied for the 41st spot. He again won the U.S. Amateur Championship in 1995 and 1996. Now he had won both the Amateur and Junior Amateur Championships three times in a row. In August 1996, he left college and became a professional golfer. He was named Sports Illustrated’s 1996 Sportsman of the Year. He made history in 1997 when won his first major, the Masters Tournament. Two months later he became the No.1 player in the World. This was the fastest time in which any golfer had reached that position. In the year 1998, he couldn’t achieve any major, but finished 1999 by winning the last major of the year, the PGA Championship. Again now he was back to his best. He was now winning or finishing in the top 10 of every tournament he played in. In 2000, he was at the peak of his powers. He achieved six consecutive wins, the longest winning streak since 1948. At the 2000 U.S. Open, he broke or tied nine tournament records. Sports Illustrated called this ‘the greatest performance in golf history’. In 2000 he was able to win the last three majors of the year. Tiger at the age of 24, had become the youngest player to achieve the Career Grand Slam. He had won nine of the twenty PGA tournaments he entered in and had recorded the lowest scoring average in PGA tour history. Woods won the Masters Tournament and it made him the first player to hold all four majors at the same time. After his superb performances in 2003 and 2004, he was not able to win a major in the next two years. Tiger lost the No.1 position and his dominance over the golf world. Again Woods came back into his element in 2005, winning back his No.1 position and two majors. Again 2006 and 2007 were great years for Tiger. He won three majors and finished second twice. He continued his form into 2008 where again he finished second in the first major of the year. In the U.S. Open that year in spite of having a knee injury Tiger went on to claim the title. He was applauded by his opponents and the spectators for his determination and willpower. But this aggravated his knee trouble and he was out for the rest of the season. But he came back in 2009 performing well on return from injury. But his marital infidelities and the media coverage it gained affected his form seriously and he was unable to play as was expected of him.